For your chance to see CEDAR RAPIDS, please go to www.gofobo.com and enter code REELDQE5 to download your complimentary pass. Two passes per person, while supplies last. Each pass admits one. Screening is first come, first serve and seating is not guaranteed. Must be 17 or older. OPENS EXCLUSIVELY AT BROADWAY CENTRE FRIDAY, MARCH 4TH, 2011. 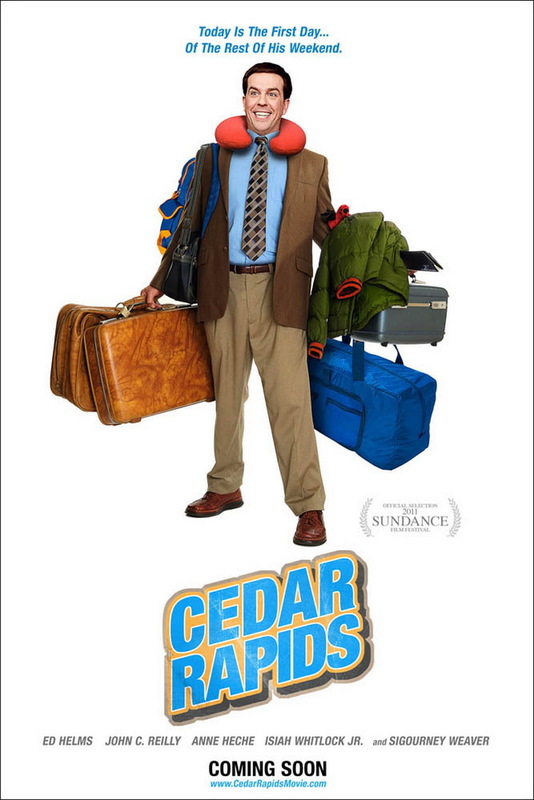 In Miguel Arteta’s new comedy CEDAR RAPIDS, to call insurance agent Tim Lippe (Ed Helms), “naïve” is a gross understatement. He’s never left his small hometown. He’s never stayed at a hotel. And he’s never experienced anything like Cedar Rapids, Iowa. Sent to represent his company at the annual insurance convention, Tim is soon distracted by three convention veterans (John C. Reilly, Anne Heche and Isiah Whitlock Jr.) who will show him the ropes and push his boundaries. For a guy who plays everything by the book, this convention will be anything but conventional. Fox Searchlight Pictures presents, an Ad Hominem Enterprises Production, CEDAR RAPIDS.